Units accommodate two to five people. The rooms are equipped with one and two double beds, three or four piece baths. Colour TVs and satelite tv and, mini fridges. Most rooms have ceiling fans and air condition. 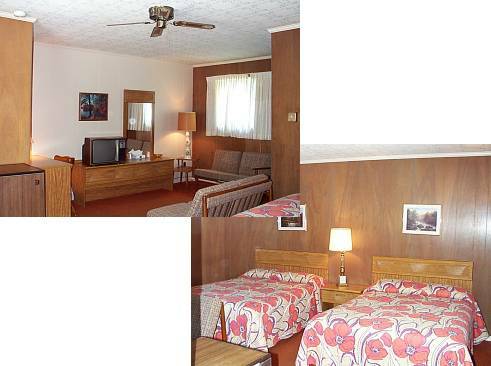 Note: During July and August, 1 night stays in motel rooms on Saturday's only will be billed an additional $20.00. Cancellation policy seven days in effect, we reserve the right to charge you fully for your stay.